NOTE: this box will come with a lock. 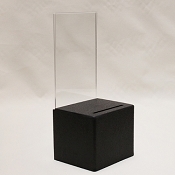 Box size: 5.75" wide x 5.00" deep x 4.00" tall. Header size: 5.5" wide x 8" tall. Minimum Quantity to Order is 4 Boxes. 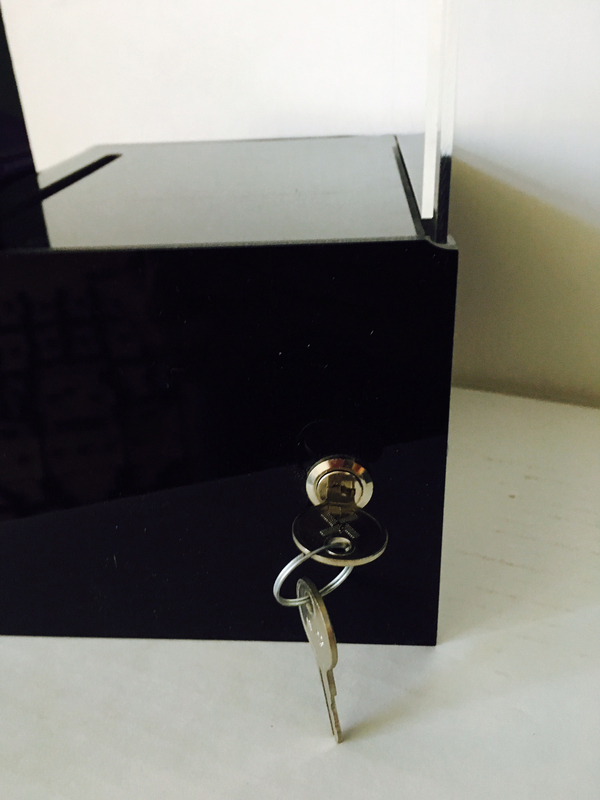 Black Acrylic box with a Clear Header and Security Cam Lock. 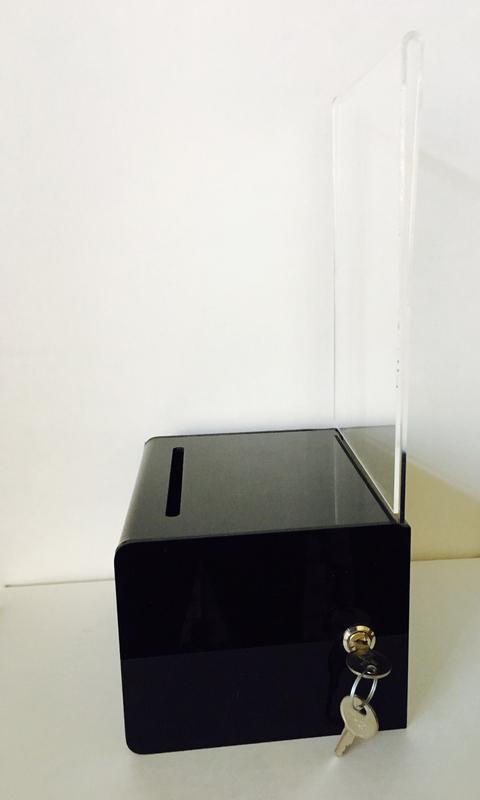 Black acrylic is very shiny and attractive. 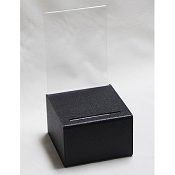 This box is a smaller counter style box that really combines the best of everything; affordable cost, convenient size, attractiveness, visibility. 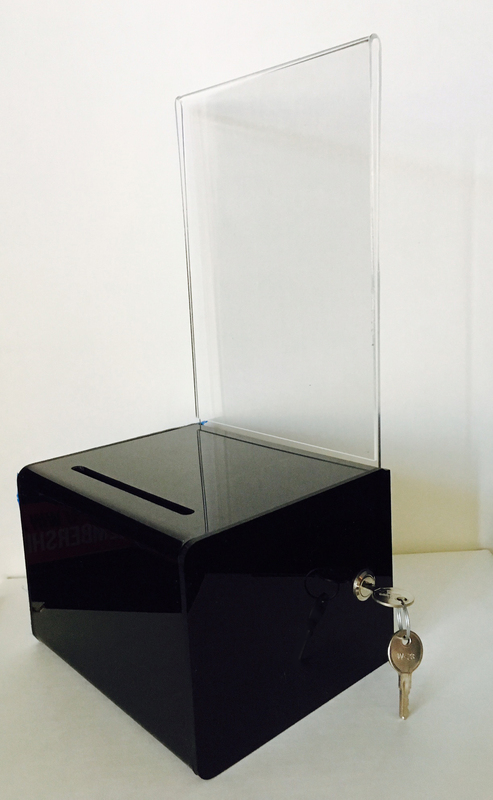 This box is a true workhorse and will suit just about any needs, whether they are collecting leads, collecting donations or tips, and of course comments of suggestions. Artwork, pen, pad, are sold separately. Slot can be put on top of the box near the front as shown in picture or on the front of the box. 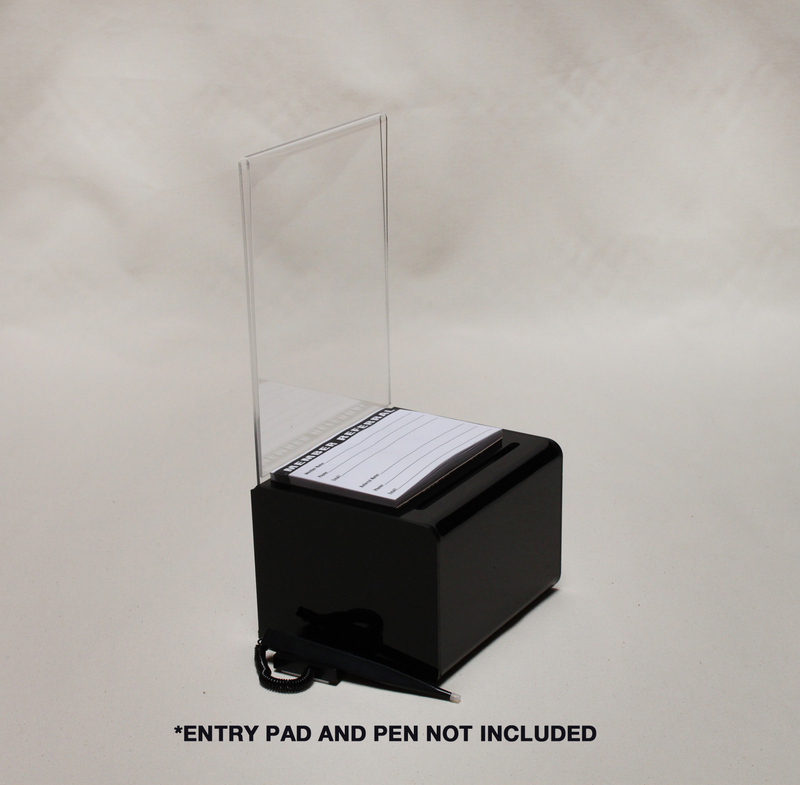 Please specify in customer instructions at check out where you would like the slot. If no comment is left we will put the slot as shown in picture.